Calling anyone who knows a dog who performed a heroic act over the past 12 months: The American Society for the Prevention of Cruelty to Animals (ASPCA) is now accepting nominations for its 2015 Dog of the Year. Humane Awards nominations are also being accepted for Cat of the Year, Kid of the Year and a Public Service Award. 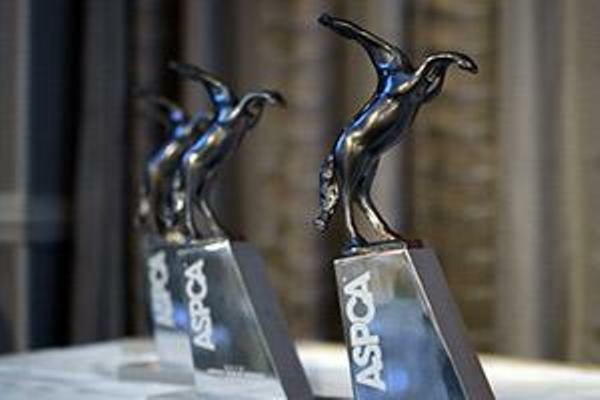 “The ASPCA Humane Awards celebrates the unique bond between people and pets by honoring individuals committed to the protection of animals, as well as dogs and cats whose experiences represent the urgency behind our mission,” said ASPCA President and CEO Matt Bershadker in a news release. Last year’s deserving Dog of the Year winner was Jonny Justice. 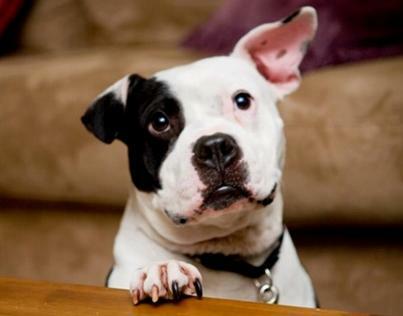 Jonny, a Staffordshire Bull Terrier, was rescued from Michael Vick’s Bad Newz Kennels in 2007. One year later, his new pet parents, Cris Cohen and Jennifer Long of San Francisco, noticed how well he got along with children, so Jonny became a therapy dog. Jonny visits terminally ill children receiving medical treatment, providing them with love and support (and probably lots of soothing Staffie smooches). He has also helped improve literacy by participating in programs in which kids practice reading aloud to him. You can nominate heroic dogs for the 2015 award through July 3. The winners will be chosen by a committee selected by the ASPCA, and announced in October. Each winner will receive an award at a luncheon in New York City.